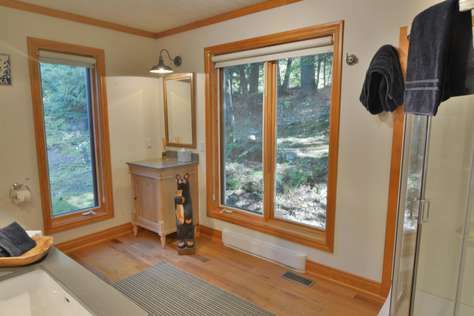 Open up the outdoors! 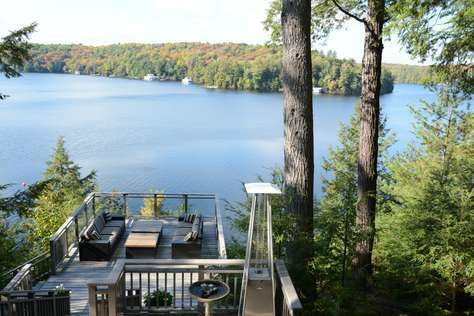 This absolutely beautiful brand-new cottage will give you a view like none other from any vantage point! 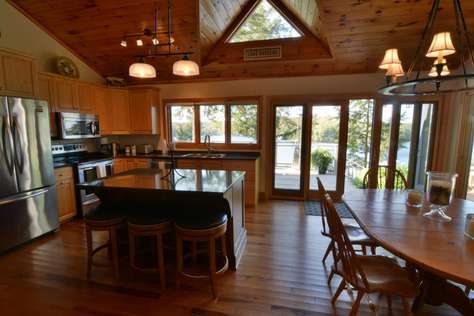 Beautiful interior matches the gorgeous views for upscale luxury! 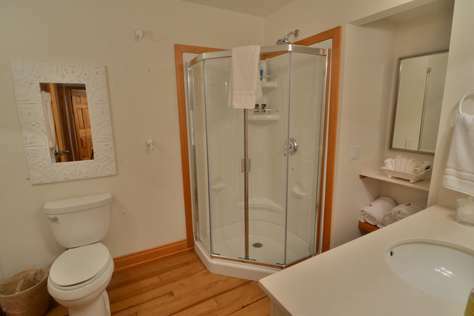 3 Bdrms each with own Bath! 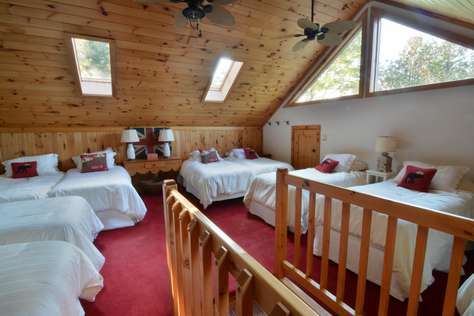 Kids Upper Bedroom sleeps 6! 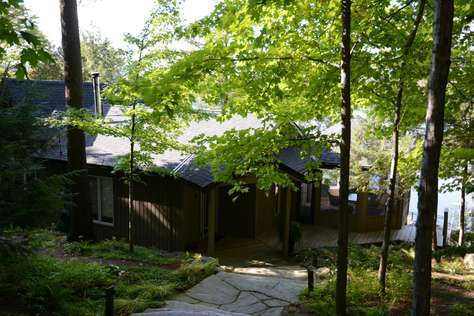 Muskoka Bliss cottage is located 6 Minutes from Minett, 10 minutes from Port Sandfield, 12 minutes to the town of Rosseau. 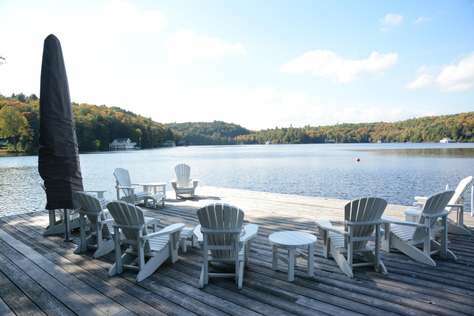 Northern exposure in open bay for beautiful all-day sun and sunrises and spectacular sunsets! 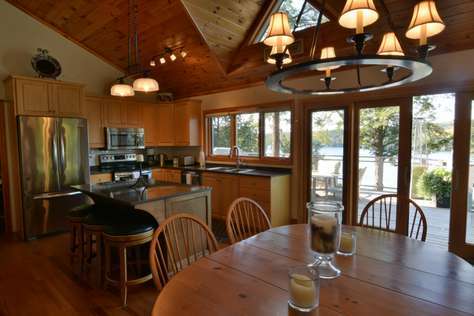 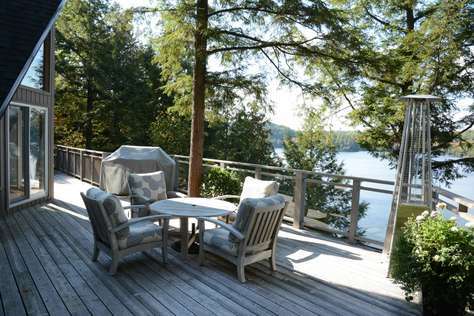 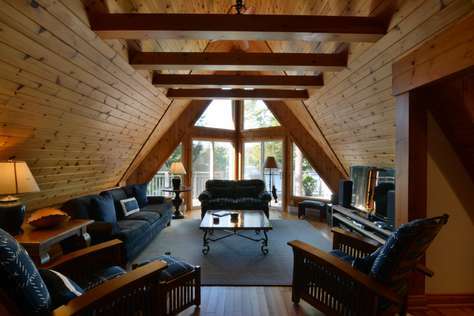 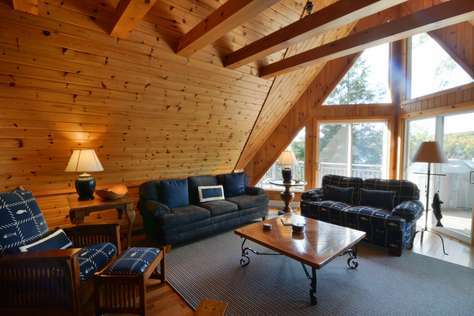 New luxury cottage with gorgeous views overlooking Lake Rosseau. 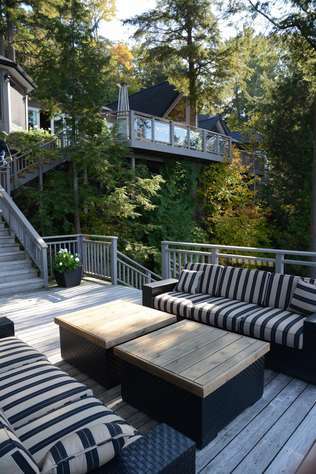 Natural gardens, lovely ground cover, and beautiful planters are strategically placed around the property. 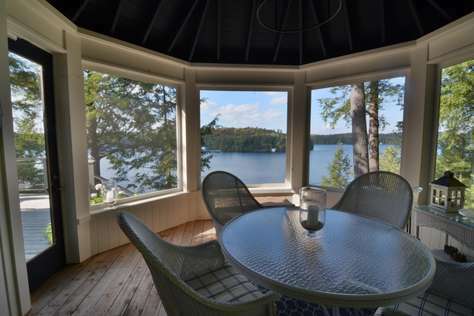 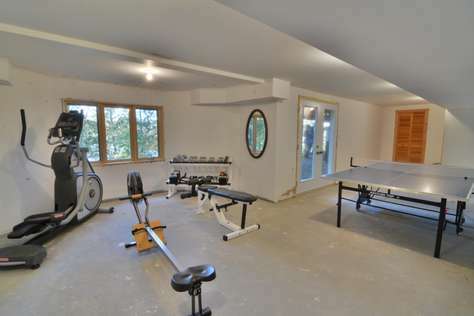 The details enhance the look of this high-quality, well-kept Muskoka gem. 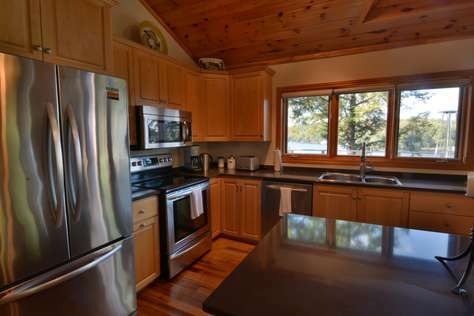 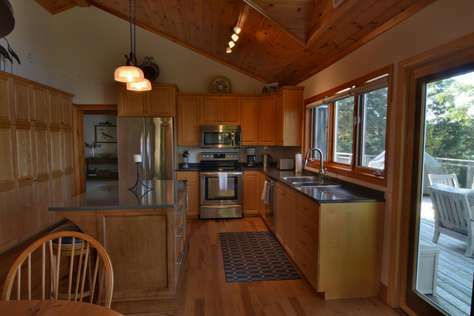 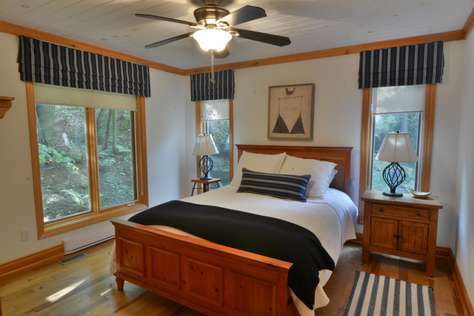 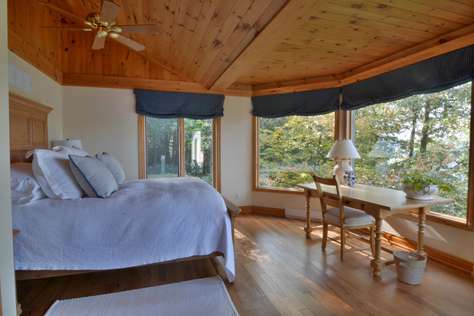 Cottage is light and bright with very high-quality finishes, and no detail is left untouched. 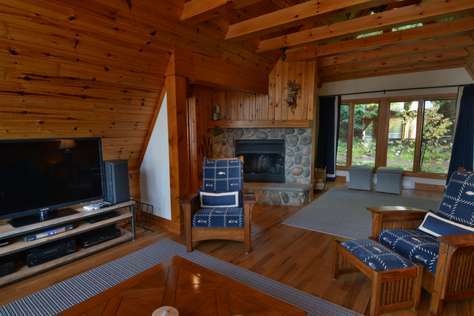 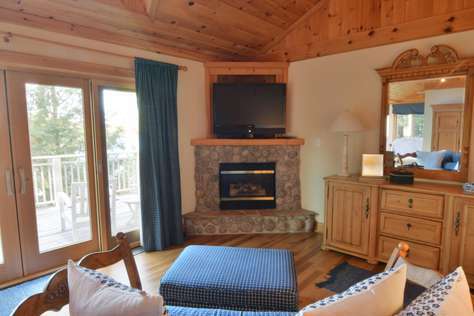 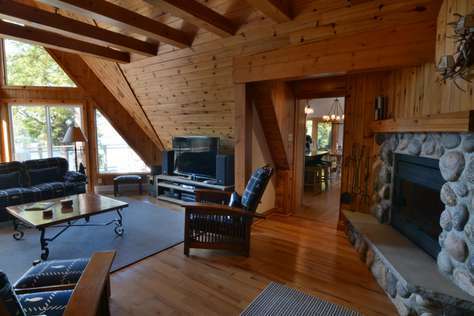 Cottage includes Muskoka Room, kitchen with an island, Great Room with large flat screen TV and wood-burning fireplace, bedroom wing has Master with its own private suite with TV-viewing area, gas fireplace, ensuite and Queen size bed with walkout to deck. 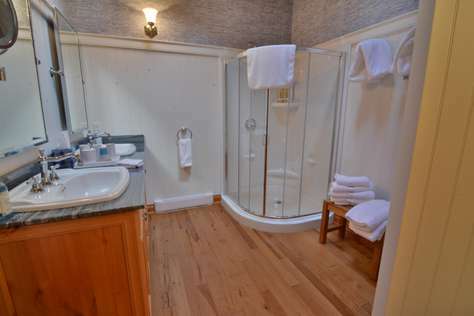 The other 2 bedrooms on main floor feature Queen beds, each with its own new bathroom adjacent to the bedroom. 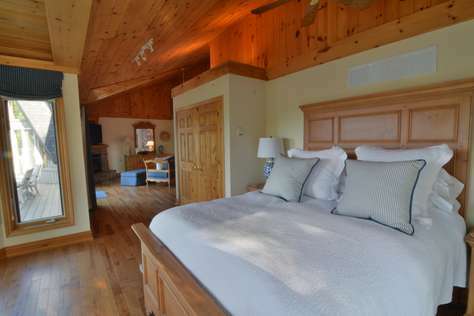 Upper level has a large loft style area with TV and 6 twin beds for kids to play, sleep, and relax. 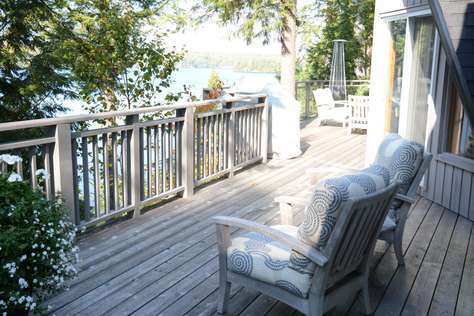 Deck runs across the front of the cottage with several sitting areas with umbrellas and heat lamp. 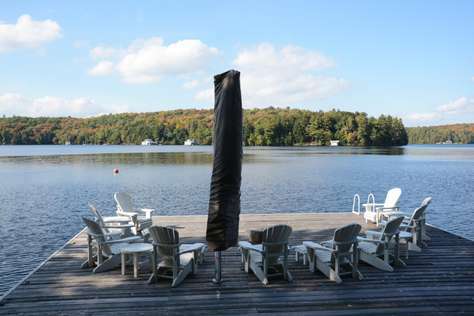 On the way to the dock there is a sunset dock with beautiful patio furniture and gorgeous lake views. 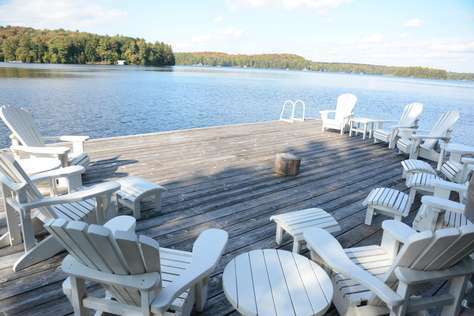 Dock has 9 Muskoka chairs and a large umbrella for shade. 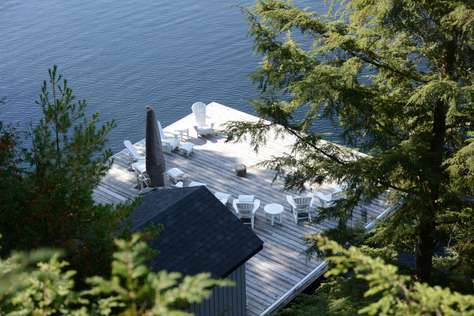 Dock also has a small shed to store water toys. 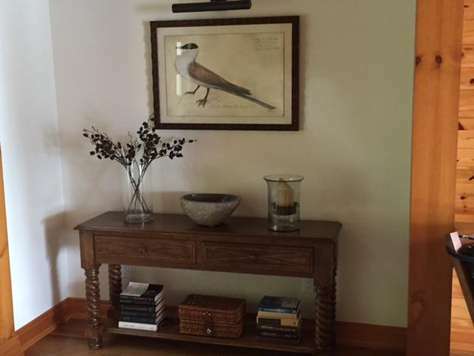 Small pets considered with long-term rentals. 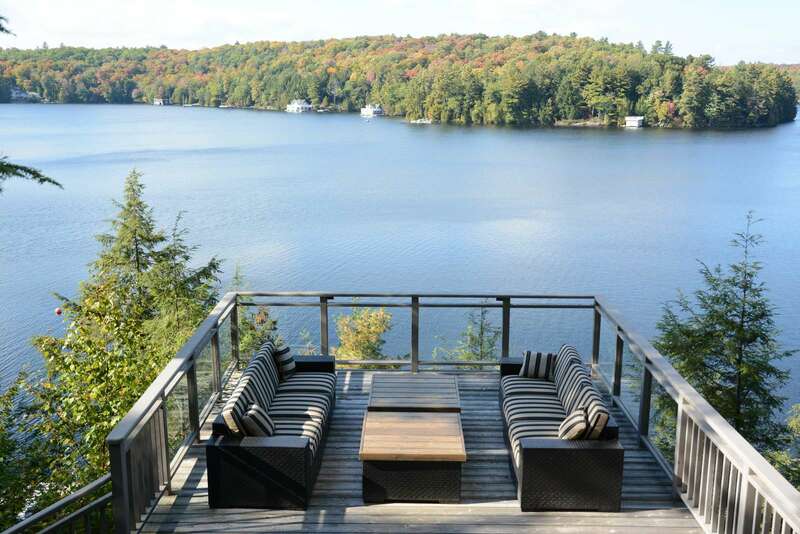 Muskoka Bliss met all of our expectations and Jayne's cottages provides a credible intermediary between owner and renter.